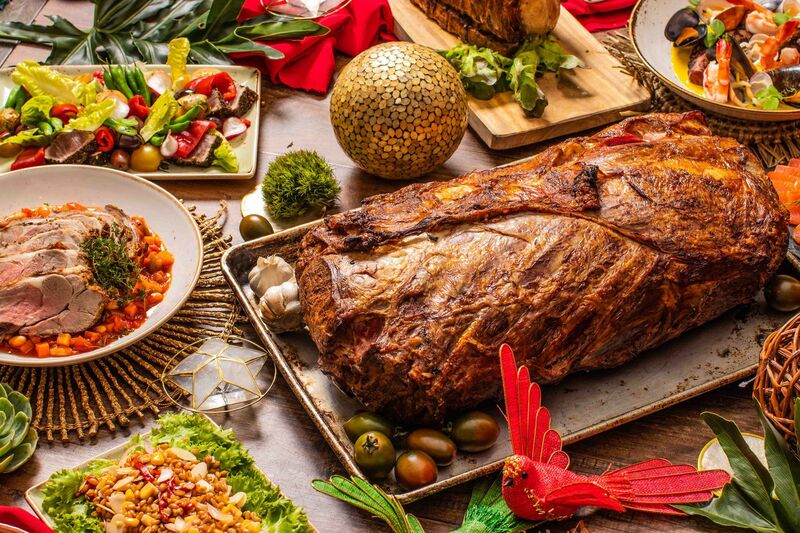 On Christmas Eve, enjoy a hearty Noche Buena dinner buffet with a selection of antipasti, homemade oven-baked pizzas, Tuscan Cacciucco, Roasted Pork, and Sweet Italian Sausage Casarecce complemented by tempting desserts. The Christmas Day lunch and dinner buffet spreads offers a scrumptious banquet filled with appetizers, fresh salads, roasted Lamb Shoulder Provençal, Seafood Bouillabaisse, Chicken Fricassee, and other traditional mains and artisanal delights to tuck into. The dinner buffet spread on New Year’s Eve features a medley of specialties including assorted Tapas, Cochinillo Asada, Paellas, Iberian Chicken, and sweet endings. Located at the ground floor of Discovery Primea, Restaurant Tapenade is open daily from 11:30 AM to 2:30 PM for lunch and 6:00 to 11:30 PM for dinner. For inquiries and reservations, please call +632 955 8888. For more information on Tapenade’s holiday offers, visit www.discoveryprimea.com/2018-holiday-offers/ or follow Discovery Primea on Facebook and Instagram.